When you tell people your job, it usually provokes the same questions. As a fashion journalist at a dinner party, it's either "what do you think of my outfit, then?" or "so, what's in fashion?" For fashion psychologists, the questions they are always asked before the starters at a dinner party is "which clothes are the most attractive?" 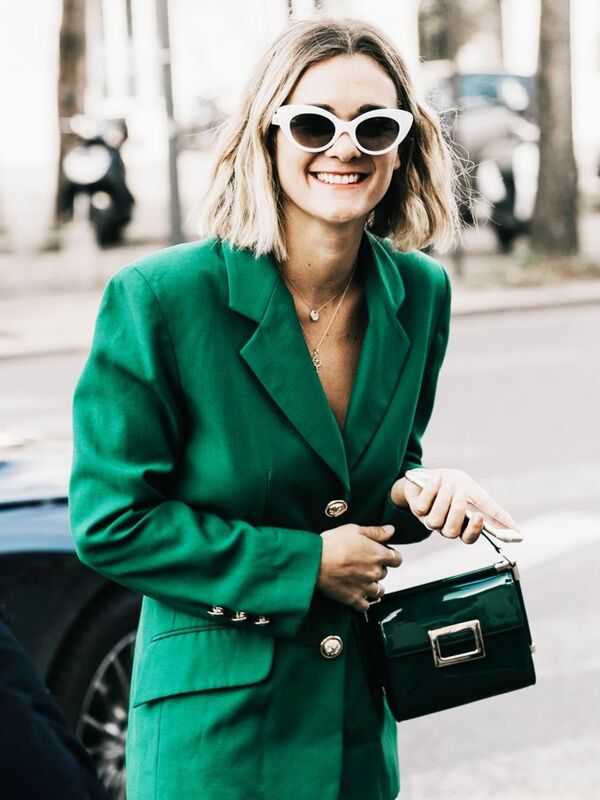 While we are firm believers that you should dress first and foremost for yourself, it's fascinating to see if there is some science behind the outfits that get you noticed. So we spoke to two fashion psychologists, Shakaila Forbes-Bell from Psychology of Fashion and Dawnn Karen, and both agreed that there is one colour that is scientifically proven to be more attractive, and it might even get you more swipes on Tinder. As expected, this colour is red. "Red is the number one colour for attractiveness," explains Karen. "There are tonnes of studies telling us it's red. If you look at it from a biological standpoint, animals are attracted to red, and then culturally, too—even if a man sees a woman with a red laptop, a guy would be more inclined to speak with her than if it was in a different colour. It goes both ways for all sexes." "A recent study found when online dating, when men are looking at women online, red clothing is seen as more sexually attractive," says Shakaila. "On tipping behaviour, people will tip more to a server wearing red or hair accessories and that they are seen to be more attractive and endearing." Red we can understand, but flower crowns? Both confirm that the Beyoncé school of thought (that if you look good, you feel good) is even more powerful than any colour. "Research shows that when you ascribe a certain characteristic to clothing when you wear it, you're more likely to embody that characteristic," explains Shakaila. "If you pick clothes that embody that spirit, they see that and recognise that and then, in turn, see you as sexually attractive. If you perceive yourself as attractive in what you're wearing, you will be found attractive. It's like Beyoncé's song 'Freakum Dress.'" Scroll below to shop our edit of key red pieces. Next up, see the four colours that are spiking on Pinterest.